A petition to free a Missouri woman, who is currently in jail for helping to kill her Munchhausen-suffering mother who poisoned her and convinced her she was terminally ill, has reached more than 90,000 signatures. 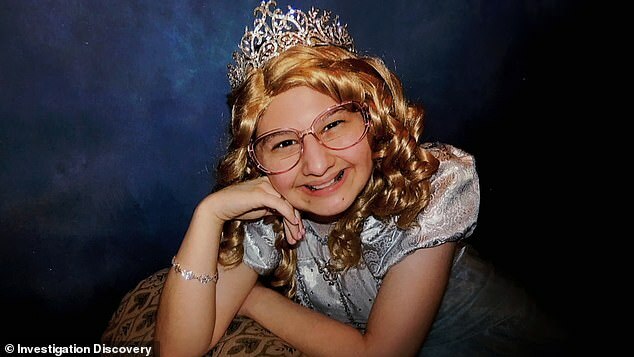 Gypsy Rose Blanchard, 27, is serving a 10-year sentence for planning the 2015 murder of her mother Clauddine ‘Dee Dee’ Blanchard after realizing she wasn’t disabled or terminally ill as she had been led to believe her entire life. Interest in Blanchard’s case was reignited after The Act, which is a TV show based on her life, started airing on Hulu on March 20. 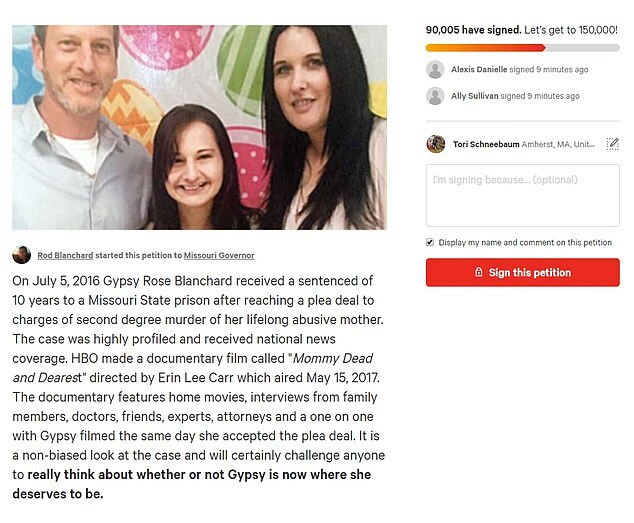 Signatures on a Change.org petition started by Blanchard’s father in a bid to get her released from prison have reached just over 90,000 in the weeks after the show started airing. The petition is calling on the Missouri Governor to reduce Blanchard’s prison sentence. 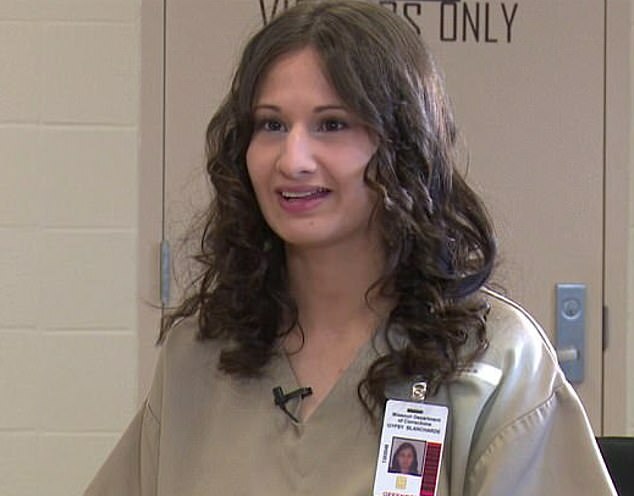 ‘I’m petitioning for any relief to Gypsy’s 10 year sentence, a shorter sentence, perhaps relocation to a mental facility where she can get the better help she needs,’ her father wrote on the petition. ‘Gypsy has a loving family and community waiting, supporting her every step of the way to freedom. ‘She appears completely healthy and in good spirits, although we don’t know if there were any long term physical effects from the abuse. The signatures on the petition also jumped after it was revealed last week that the young woman is now engaged to her prison pen pal. Her family friend said Blanchard got engaged earlier this year but she likes to keep her relationship quiet. Blanchard’s fiance visits her in prison frequently and they speak multiple times a week. 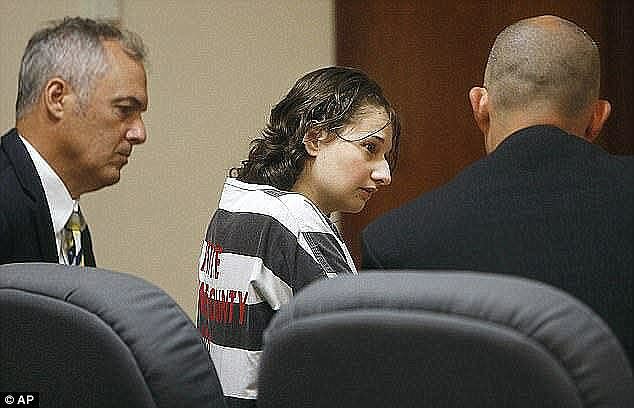 The newly engaged couple met via a prison pen pal program after her story was the subject of a HBO documentary – Mommy Dead and Dearest – that aired in 2017. Blanchard is serving a 10-year sentence for plotting to kill her mother, while her accomplice Nicholas Godejohn was given a life sentence. She enlisted the help of Godejohn, who was her boyfriend at the time, after they met on a Christian dating website. The plotted to kill her mother after realizing she wasn’t disabled or terminally ill like Clauddine had made out her entire life. Godejohn was given a life sentence for his role in the killing. 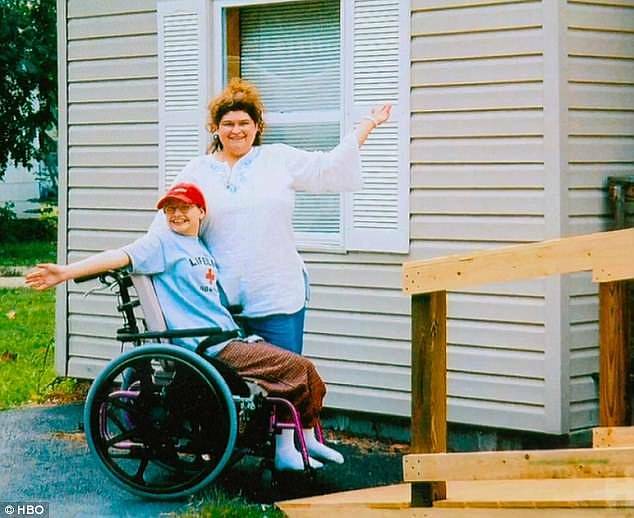 Blanchard, who was arrested with Godejohn just two days after Clauddine’s body was found, walked into her first court appearance on her own two feet – much to the shock of those who thought she was wheelchair-bound. Clauddine’s ruse fooled even doctors, who doled out prescriptions and performed surgeries on Blanchard. The mother also accepted financial donations and the two went on charity-funded trips to Disney World. When she opened up to her boyfriend about her mother’s behavior, they came up with a plot to murder Clauddine so they could be together. Godejohn slipped into the house and allegedly stabbed Clauddine while Blanchard hid in the bathroom. The couple then took ‘several thousand dollars’ from a safe in the home and spent some time in Springfield following her death. A shocking Facebook status from Clauddine and Gypsy’s shared account on June 14, 2015, read: ‘That B**** is dead’, which prompted alarmed neighbors to call police. The Facebook posts were traced to Godejohn’s house in Big Bend, Wisconsin, and the two were arrested on June 16, 2015.